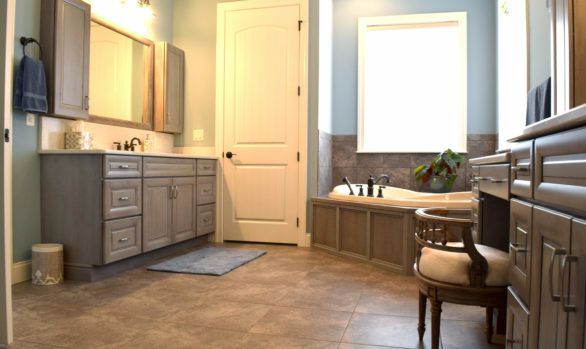 A complete master bathroom remodel! We removed the tub completely to make room for more cabinets, storage space and a beautiful new shower! New vanities, added window seats with pull-out drawers below doubled the storage space the tall linen cabinets gave us room for his and her hampers. The shower was the focal point of this master bathroom remodel because we tiled it from floor to ceiling and with a curved foot rest and roomy shampoo/soap niches it is fully functional. The custom glass shower doors show the beautiful new tile work…the heated tile floor will keep your toes warm on those cold winter mornings! 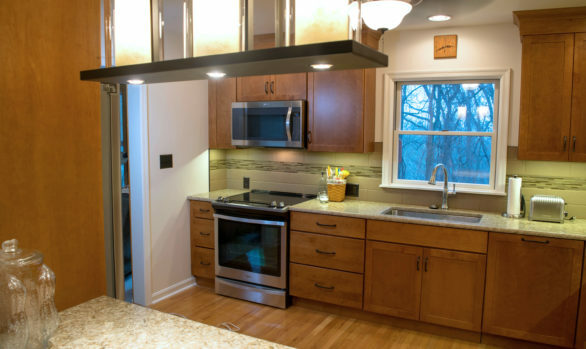 The Cambria Quartz countertops and shower curb accent the rich browns of the new Yorktowne cabinets. More Photos on our Facebook page!